We get it. You built your company from the ground up, and you have been wearing many hats to make your business a success. You’ve been doing your own marketing, bookkeeping, design, and the like, and it’s starting to become impossible to help your business grow. It’s hard to turn over control of your daily business tasks to anyone else. But when you learn how to let go of the reins and find tasks you can delegate to a virtual assistant, you will find that you can get back to what you love doing: running your company. Social media scheduling, posting, and managing ad campaigns for Facebook, Twitter, etc. And this is just a sample of what a virtual assistant (or better yet, a team of virtual assistants) can do for you. It’s up to you to decide which business tasks you can delegate to a virtual assistant (or virtual assistant team like we have here at Smart to Finish). But once you start delegating tasks, we promise you won’t ever look back! Delegating is one of the most valuable tools in a small business owner’s arsenal, but it’s often overlooked and doesn’t get enough good press. 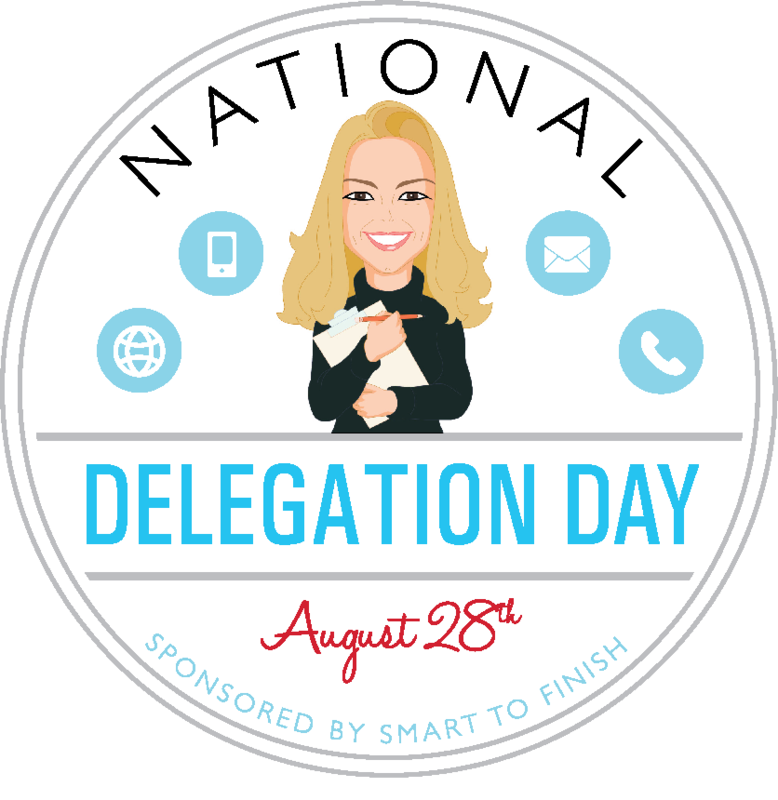 That’s why Smart to Finish is designating August 28th as National Delegating Day, because we want small business owners everywhere to know how they can increase their time, effectiveness, and profitability when they know how to delegate. 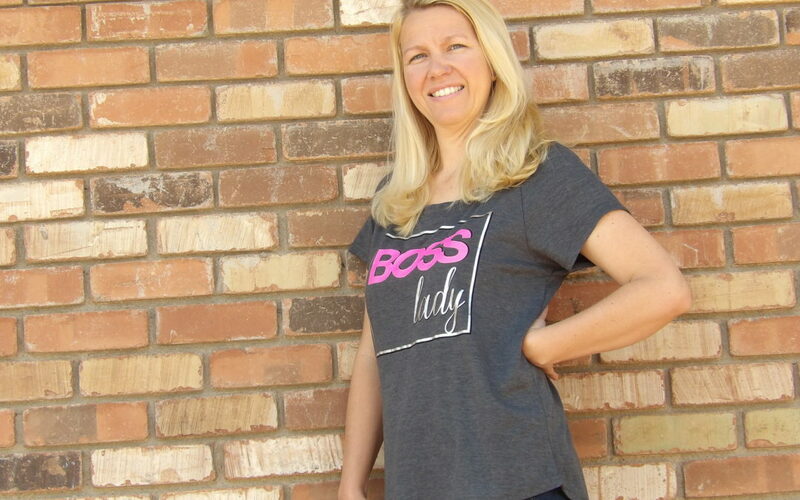 When first starting out, small business owners need to wear many hats. As their businesses grow, however, small business owners will more than likely hit a wall if they continue to do everything themselves. And as a result, so will their business. By developing a team and delegating some of the daily tasks, a small business owner will be able to focus more on growing the business rather than continuing to overextend themselves. When you learn to delegate, you will free yourself from everyday tasks and get back to doing what you love, running your business and being an effective leader. What Prevents People from Delegating? The main roadblock is the thinking “I can do it faster and more effectively if I do it myself.” Another common mindset it, “no one can do it better than I can.” It’s hard to give up control. But when you make the effort to train others to do the work you know is holding you back from bigger goals, the benefits are endless. What Are the Best Ways to Delegate? Once you allow yourself to give up control and turn tasks over to another person, you now need to have a plan for delegating your projects. Who should do them? How should they go about doing them? What can you do to make sure projects don’t go off track? First, if you can’t afford to hire employees, you should consider outsourcing your tasks to a virtual assistant or contractor. They often specialize in the tasks you know someone else should do such as bookkeeping, social media scheduling, website maintenance, marketing, and the like. And yes, while outsourcing does cost money, it does not cost as much as hiring employees. Important tasks always have due dates. If it’s a large-scale project, then set up check-ins and milestones to make sure the project is moving forward. Once you have found a virtual assistant or contractor you can work with, it’s always a good idea to keep the lines of communication open. By communicating your wants and needs clearly up front, there will be less room for error during the course of the project. It’s also a good idea to request regular updates or status reports so that you can keep an eye on a project’s progress without having to constantly read and send emails. So now that you understand the importance of delegating and how to delegate effectively, set your calendar to remind you that Delegation Day is August 28th and get your plans to boost your business by delegating! If you need help with delegating, please contact us at Smart to Finish where we manufacture time! We’d be happy to help take work off your plate! 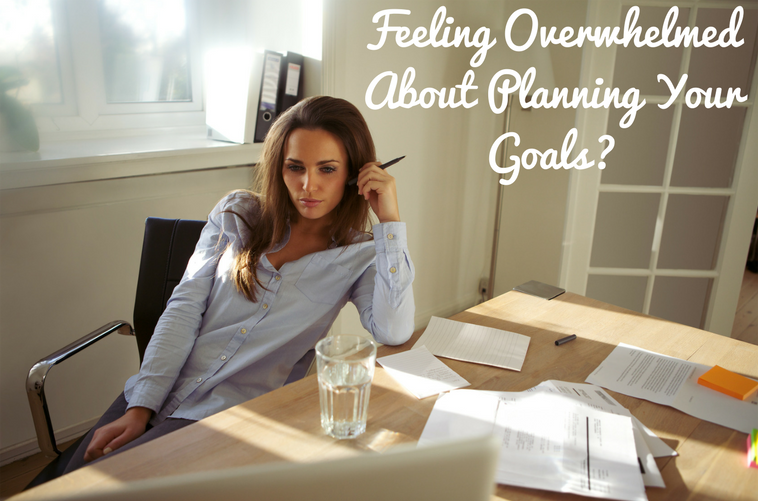 When setting goals, procrastination is not your friend. Without a plan of action, you may never achieve your goals. While setting your goals, you must be able to visualize the end results. Take a moment of solitude and imagine yourself living the result of each goal. Concentrate on what you are presently doing that helps you visualize your goals as being achievable. Take note of any negative thoughts or feelings as well while you are setting your goals. Don’t set a goal just because someone else thinks you should. Your goals should come from your feelings and emotions and not from someone else’s wishes. If they’re not your goals, you can never give a full level of commitment, and finding motivation to complete them will be difficult. So, analyze each goal with clear thoughts. The goals you set should be exactly what you want to achieve, be, and have in the future. Keep in mind that the goals that get you fired up are the most important ones. These positive emotions will inspire you to make these goals real.